Breakfast will be served in the dining-room or outside on the south-facing terrace depending on the season, weather and time of the day. 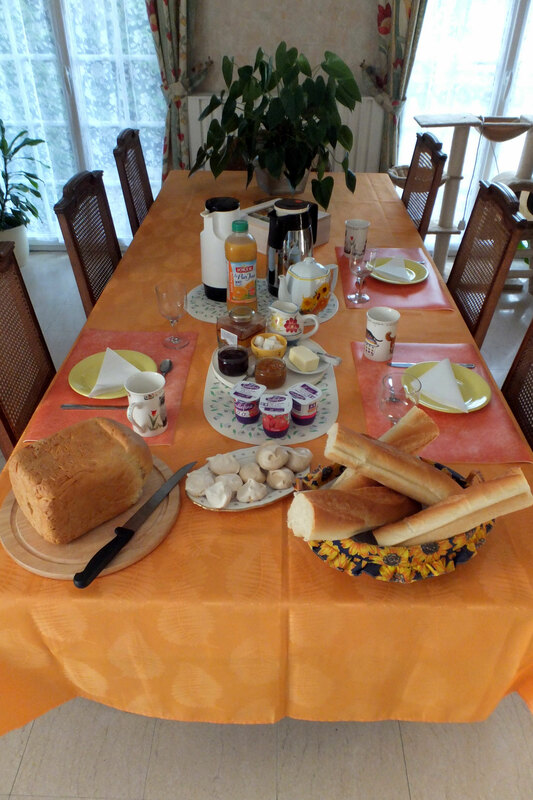 A selection of home-made jams with organic fruit from our orchard, freshly baked bread, yogurts and home made pastries are part of our breakfast together with tea, coffee or hot chocolate. 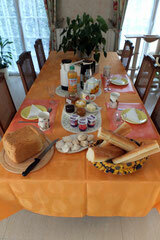 We usually serve breakfast between 8h45 and 10h00 but always try to be flexible whenever possible.